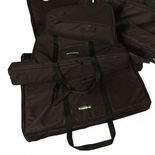 This Musser Xylophone cover is a light weight shallow dust cover. This fits Musser M51, M50 and M7051 models. This Musser Vibraphone cover is a light weight, shallow dust cover style. This fits Musser M55, M55G, M58, M46 and M48 models. 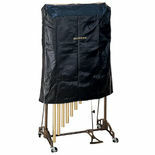 This Musser Marimba cover is a light weight shallow Vinyl dust cover. 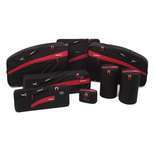 This fits Musser M250, M300, M240 and M245 models. 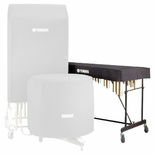 This Musser Marimba cover is a light weight shallow Vinyl cover. This fits Musser M31, M32 and M7031 models only. 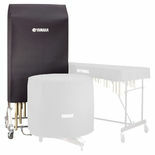 The Yamaha Chime Cover is made of water resistant black Cordura nylon material with a padded no-scratch lining and fits all Yamaha and Deagan Chimes. 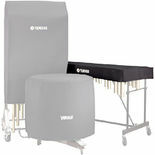 This Musser Vibraphone cover is a light weight, shallow dust cover style. This fits Musser M44 model only. 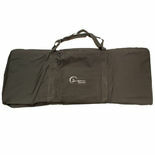 This Musser Vibraphone cover is a light weight, shallow dust cover style. This fits Musser M75 model only. This Musser Xylophone cover is a light weight shallow dust cover. This fits Musser M42 model only.